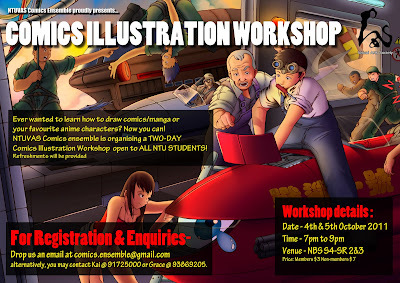 VAS ComicEnsemble is now organizing a 2 day comic illustration Workshop and it is open to ALL NTU STUDENTS. People with different levels of drawing skills are all welcomed! 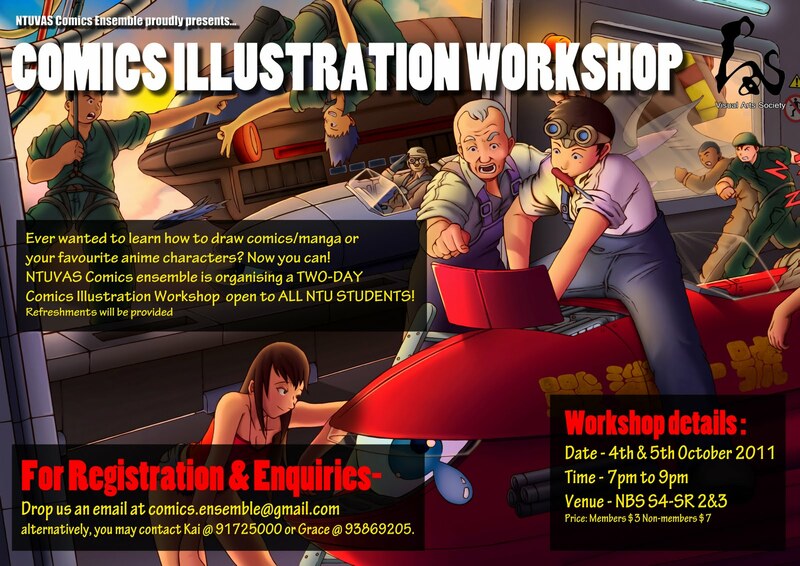 If you wish to learn how to draw comic/ manga, SIGN UP NOW! Refreshments will be provided ! If you facing the problem in your designing and you did not get the better result for your product designing than just contact this ilustra.co.uk. This website can give you the better ideas and theme for your product designing and illustration which makes your product designing better. Writing of the essay is not easy for you if you are not familiar with the English grammar and other writing skills which needs to deliver a good and valuable essay for you. If you need the work of essay writing then you should have to contact and hire the best essay writers for your essay writing works because they can write the best and valuable essay for you.